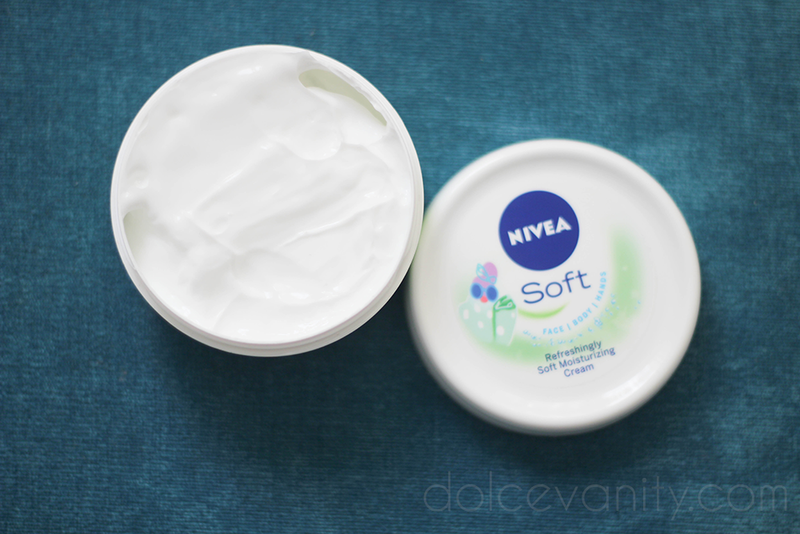 NIVEA say that this is a light textured cream, that absorbs quickly and easily spreads onto the skin for soft & supple skin all day. I did give this to my nan to try at first just because at the time I was using something and she was liking this cream a lot, when I unexpectedly ran out of my cream, I reached for her tub to use this and I was surprised at how soft and light this really is. Didn't leave me greasy or feeling that my skin needed more. Now if you read the ingredients they may cause a stir for some and the fact that NIVEA do test on animals was also one of the reasons I gave it to my nan to use. Yes you may spot the Jojoba & Vitamin E but the Petrolatum & mineral oil may be a huge no-no for some. For myself the testing and the mineral oil etc up & down knowledge can also weigh against it. Has anyone tried this cream? Water, Myristyl Alcohol, Mineral Oil (Paraffinum Liquidum), Glycerin, Butylene Glycol, Alcohol Denatured, Stearic Acid, Petrolatum, Myristyl Myristate, Glyceryl Stearate, Hydrogenated Coco Glycerides, Dimethicone, Simmondsia Chinensis (Jojoba) Seed Oil (Jojoba), Tocopheryl Acetate (Vitamin E), Polyglyceryl 2 Caprate, Phenoxyethanol, Lanolin Alcohol, Fragrance, Carbomer, Sodium Hydroxide, Cetyl Phosphate, Methylparaben, Ethylparaben, Propylparaben, Butylparaben, Isobutylparaben. I have tried this and I honestly do love how moisturizing it is, and it makes my skin so soft and supple. But the ingredients list is such a disappointment, really off-putting!